Studying Past Lives is a fascinating subject but can also bring profound healing and understanding with any challenges we are facing in our lives today. Sometimes if a client is undergoing conventional hypnotherapy the underlying cause may not be found and therefore a cure is not achieved and the problems persist. It is possible that the cause of the problem is rooted in a previous life but the effects of this root cause has been carried over into the client's current life. By assisting the client to safely regress into the experiences of previous lives than the root cause can be made to manifest, understood by the client, abreaction obtained and the problem removed. Would you like to know who you have been in a past life? Do you have phobias, fears, dreams, birth marks that may have a link to a past life? Past Life Therapy (Regression) takes you on a journey into your past lives using hypnosis to unlock any memories from your subconscious that may help with removing and releasing unresolved reactions and/or patterns; emotional, mental or physical and bring about healing and empowerment. 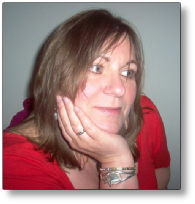 Marie is also an Author, Reiki Master Teacher, Holistic Therapist, Shamanic Practitioner, Psychic Medium, Personal & SME Business Coach and Mentor and is well known for helping people to become empowered and confident so they can initiate positive change for a more fulfilling life. Past Life Regression Therapy can help to bring healing and understanding of many ongoing health issues occurring in our bodies and patterns recurring in our lives. Sometimes we need to get to the root of a problem before we can begin to deal with it. Past Life Regression Therapy is a natural and safe means of unlocking the origins of many issues, bringing relief and awareness, helping negate many fears and phobias. 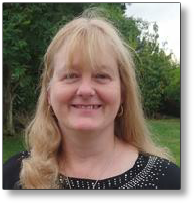 Toni is also a Tarot Reader with 17+ years' experience, as well as an Author, Teacher and Public Speaker, offering Spiritual Guidance and Life Purpose talks, offering people choices for change.